In a statement from Steam's blog, the company announced that they are no longer supporting Bitcoin as a method of payment in their store. This is due to the unpredictability of the currency and the high fees that come from using them. In terms of Bitcoin's high fees, Valve revealed that when they started accepting the currency, the transaction fee that was charged to the customer is only 20 cents. However, that fee rose rapidly and now charges $20 per transaction today. Valve is not happy with the situation the Bitcoin puts its users in and the fact that they cannot control this fee is what eventually led them to decide to shut down the payment method. Speaking of Bitcoin's unpredictability, Valve mentioned that the value of Bitcoin is only guaranteed for a short period of time. They said in a statement that: "So if the transaction doesn't complete within that window of time, then the amount of Bitcoin needed to cover the transaction can change. The amount it can change has been increasing recently to a point where it can be significantly different." 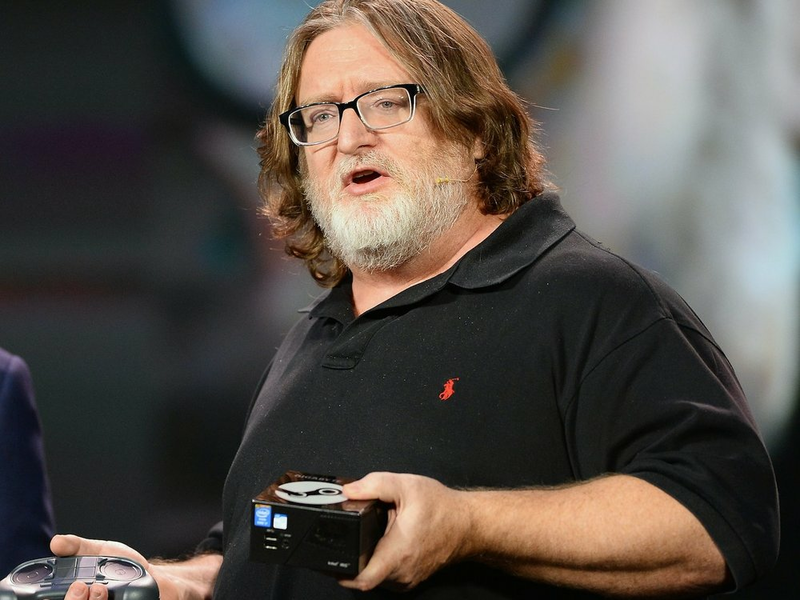 Gabe Newell, the cofounder and managing director of Valve, which owns Steam. When situations where transactions don't complete in a short timeframe and the value changes, Steam is forced to either refund the payment or would charge more to cover the balance. What they don't like in this particular scenario is that it doesn't only affect the company, but also its users. In the end, Valve did not fully close its doors to Bitcoin as they promised that they may re-evaluate using the currency if it makes sense for them and the Steam community. Just recently, Bitcoin has surged to all-time record highs above $10,000. However, there have been times in the past when the digital currency's value would plummet significantly, that raised concerns regarding its viability as a currency. Do you think the Bitcoin bubble is about to burst as predicted by financial analysts?